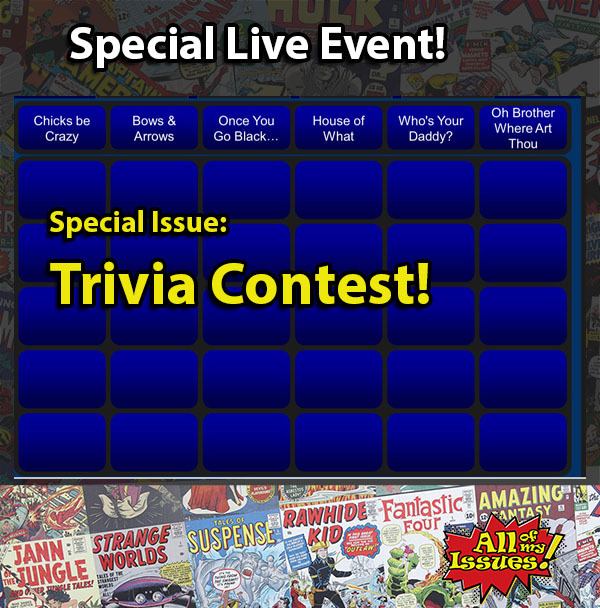 Special Issue- Trivia Contest – All of My Issues! We wanted to share with everyone our special event that we had this past weekend at the All Americon. It was a great event, and I think everyone had a blast. We recorded a trivia game that we hosted. It probably isn’t as good as being at the event, but we thought it might be fun for people to listen along at home. That way you can test your trivia skills against out contestants.